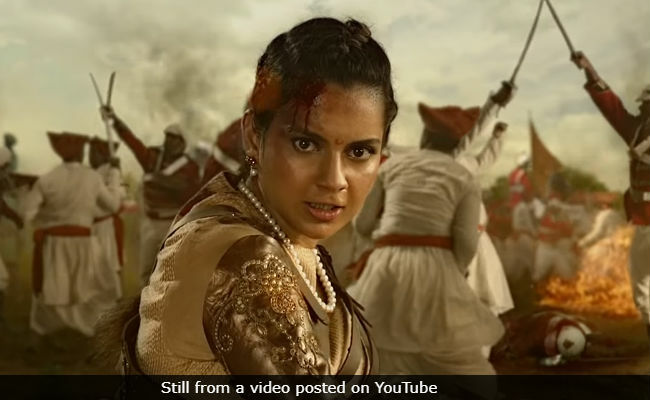 Actress Kangana Ranaut has hit back strongly at Rajput fringe group Karni Sena who, she claims, are 'harassing' her over new film Manikarnika: The Queen Of Jhansi, which is based on the life of Rani Laxmi Bai. Kangana, whose film releases next Friday and for which she has obtained a certificate from the Central Board Of Film Certification, issued a statement saying that she too is Rajput and will "destroy" the Karni Sena if they continue to "harass" her over the film's release. "Four historians have certified Manikarnika, we have got censor certificate as well, Karni Sena has been conveyed this but they are continuing to harass me. If they don't stop then they should know I am also a Rajput and I will destroy each one of them," Kangana Ranaut said in a statement. Manikarnika tells the story of Jhansi's Rani Laxmi Bai, who was among the leaders of the 1857 Mutiny against the East India Company.